Bed bugs can leave itchy welts and force homeowners to get rid of belongings in an effort to eliminate these pests. That’s not the only trouble bed bugs cause. They’re among the leading drivers of liability insurance claims. Bed bugs have risen to the number two spot for the top animal-related liability insurance claims. They’re just behind deer incidents, which come in at 58 percent of claims. 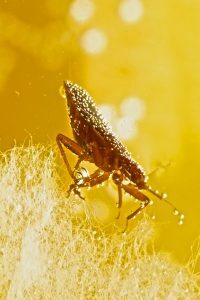 Bed bugs account for 21 percent of claims, followed by insect bites at 8 percent. This increase in insurance claims reflects the rise in bed bug populations, including in the NJ and NYC area. In fact, sightings of these pests in NYC hotels went up by more than 44 percent from 2014 to 2015. 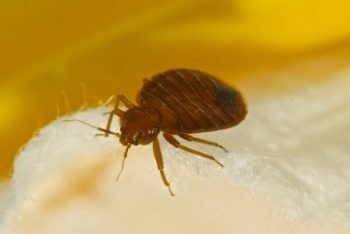 Although these infestations can occur at any time during the year, claims for bed bug damage tends to occur in spring and summer. If homeowners detect and deal with infestations early, then they may not need to file insurance claims. Monmouth County NJ pest control companies can help you get rid of bed bugs. Don’t let bed bugs ruin your property and harm your family. Count on Allison Pest Control to get rid of these pests. As one of the top Monmouth County NJ pest control companies, we have safe and effective methods for eliminating bed bugs. Catch Bedbugs Early Before They Get Out of Control! Catching a bed bug infestation early makes it easier to completely eliminate them with NJ pest control services. This involves being able to detect low-level bed bug activity, which can be difficult to do. Keep these tips in mind, so you can catch bed bug infestations as early as possible. If you have any reason to suspect a bed bug infestation, placing monitors or traps in your home can help you find these bugs early. In fact, this is among the most effective ways to detect low-level activity from these pests. This isn’t as reliable as monitors and traps, but taking time to do a visual inspection of your home can help you find bed bugs early. 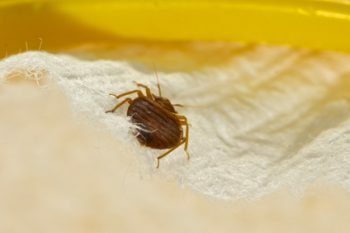 Check your mattresses and bed linens for signs of these pests, and look around your home for these bugs or stains that might indicate their presence. Having bed bug professionals inspect your home and place traps or monitors, if needed, can provide you with peace of mind. If bed bugs are found anywhere in your home you can count on receiving prompt treatment for these pests to keep low-level infestations from becoming worse. If you need NJ pest control services, please contact Allison Pest Control. We provide effective bed bug control services in Monmouth County and Ocean County. It’s common for pest control companies in New Jersey to be called for help with bed bug problems. These pests have been on the rise in recent years in the NJ and NYC area. 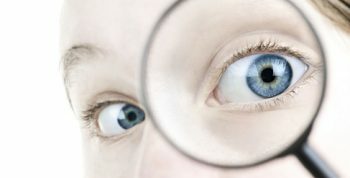 In order to deal with them effectively, it’s crucial for researchers to know as much about them as possible. Scientists and entomology students in several parts of the country have been letting bed bugs bite them. This unusual research method allows them to do in-depth studies of these pests and learn more about them. Scientist Roberto Pereira let himself be bitten by tropical bed bugs, a species recently rediscovered in Florida. Doing so ensured that the colony would thrive, so that he and other scientists can study them. This species has reappeared in Florida for the first time in decades. 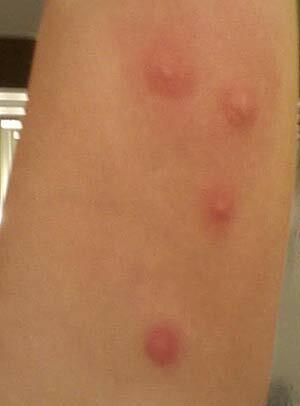 While some scientists report that bed bug bites are painless for them, others find them painful. These bites can also cause a rash and other symptoms in some people. Homeowners should get professional pest control help for bed bug infestations to make sure these pests are thoroughly dealt with. When you’re looking for reliable pest control companies in New Jersey to eradicate a bed bug problem, you can count on Allison Pest Control. We can help you get your bed bug problem under control and rid your home of these pests. Could this be an answer to bed bug control problems? Getting rid of bed bugs can be a headache, even for the best exterminator in Farmingdale, since these pests have been able to build up a resistance to commonly used pesticides. Fortunately, researchers are working on making it easier to eliminate them by studying their shed skins. Scientists at the University of California in Riverside have been taking a close look at the pheromones, or scent hormones, that bed bugs leave behind when they shed their skins. These skins have compounds called aldehydes that attract bed bugs, which could offer a more effective way to find them and thoroughly eliminate them. In fact, researchers are studying ways to use characteristics of these skins to create cost-effective traps to monitor living bed bugs and stop infestations earlier. This could help make bed bug pest control more successful while also keeping costs down for property owners. Although traps that make use of this research aren’t available on the market yet, there are other ways to deal with bed bug infestations. Just keep in mind that the sooner you seek help for bed bugs, the easier it is to deal with these pests and put a stop to infestations. Don’t tackle a bed bug problem on your own. Instead, let the best exterminator in Farmingdale handle it for you. 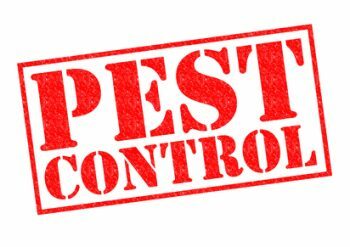 Contact Allison Pest Control to learn more about our pest control services. Help Persuade Others to Report Bed Bugs. With bed bug sightings on the rise, pest control companies in Freehold have been busy battling these pests. Keep in mind that bed bugs show up in a variety of public and private places, ranging from libraries and public transportation to apartments and houses. They’ve also been known to invade hotel rooms. How do you protect yourself from them? Crowdsourcing could be the answer. “BedbugReports” is an online service that gives the public a chance to let others know where bed bugs have been spotted. It focuses on hotels and apartments in order to provide important information for those who are traveling or those who are looking for a new place to live. You can find out whether or not bed bugs have been spotted in certain cities and where those infestations occurred. This information can help you lower your risk of encountering these pests when you’re traveling or checking out potential places to rent an apartment. What should you do if you see any of these pests? Don’t hesitate to leave an online report for others. You should also get in touch with a pest control company to help eliminate these pests. Don’t let bed bugs ruin your sleep. Contact Allison Pest Control for help. As one of the leading pest control companies in Freehold, we can get your bed bug problem under control and prevent more from coming.